Iceman’s series is close to an end, but there’s still a few adventures left to have. His rivalry with Daken comes to a head. 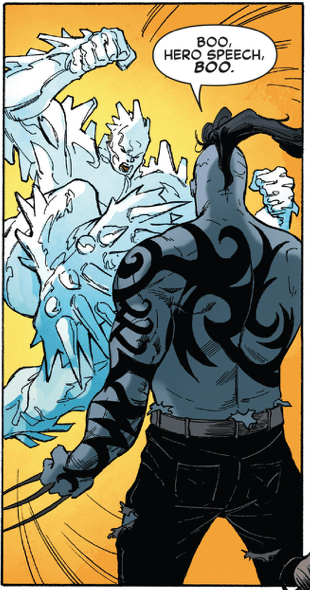 Daken has the Apocalypse Seed in him activated and takes on our favorite ice powered Omega Mutant. This is great! Next: Supergirl’s – Mon-El Costume Revealed – What do You Think?